Based in Sierra Vista, Arizona, Sierra Animal Hospital is a veterinary practice that focuses on taking care of small and exotic animals. Owned by veterinarian Dr. Bone, the practice includes 5 different practicing associates. 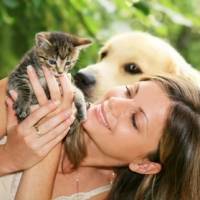 Services offered include well exams, boarding, declawing, dental cleanings, spaying and neutering, and much more. When it comes to paying for treatments, payment is always due at the time of service, with the exception of iCare Financial. Office Manager Trace Manning first heard iCare Financial recommended by a friend who works at a clinic in Phoenix. This friend explained that it was a reliable payment system for patients who wanted something other than the usual Financing options. Trace looked into this payment service, signed her practice up with iCare Financial and they have submitted 238 treatment plans that have generated over $139,000 in revenue. Sierra Animal Hospital has found that most of the people who qualify for Care Credit already have it when they come in. However, most people will not qualify for Care Credit. Others plan to pay by credit card or are just unprepared to pay. Trace finds that the team is able to explain how iCare Financial works to patients in very plain English. That’s why sometimes those who are planning to pay by credit card switch over to iCare, as they find it’s a better financial arrangement to match their needs and budget. Sierra Animal Hospital has placed information in every room that promotes iCare Financial and how it works. When a patient and their animal are checked in they immediately go into the exam rooms and have a chance to review the iCare literature. Through that means, most people initiate the idea to use iCare Financial on their own. The practice also places TV commercials mentioning iCare Financial as their “Financial Partner.” They find that they get a lot of clients that way. It also builds automatic trust and respect for iCare and its high level of credibility. 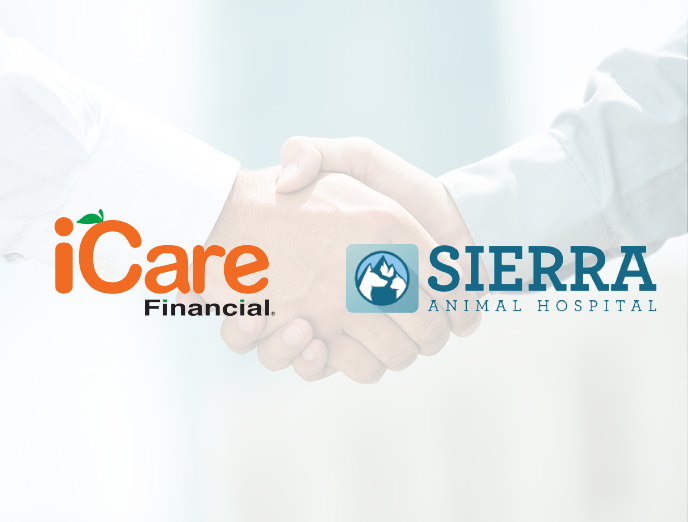 Through being able to offer iCare Financial as a payment method for patients, Sierra Animal Hospital has been able to save many lives. In particular, iCare is ideal in those unexpected emergencies that occur like Parvo and snakebites. Between hospitalizing, treating animals and sometimes even surgeries, the fees can quickly amount to a thousand dollars or more. Sierra Animal Hospital typically sees 5-15 Parvo cases a month and 3-4 rattlesnake bites. Before offering iCare as a payment option, only 1 in 3 people would typically be able to afford to treat their dog’s Parvo case. The rest would just go home with some fluids and antibiotics as they were not able to afford the unexpected bill of $500 or $600. As a result, the survival rate was about 50-50. When the practice is able to properly care for sick puppies through hospitalization, they save their lives 99% of the time. Thanks to offering iCare Financial, clients are now choosing to treat their dog’s Parvo cases 4 out of 5 times. Why is iCare Financial the Best Financial Partner? Years ago, Sierra Animal Hospital used to have to rely on hiring debt collectors when clients defaulted on their payments. They found that a debt collector was much more expensive and also an unpredictable experience. Plus, debt collectors take half of what they collect. Two national pet care chains also exist in the Sierra Vista region and are major competition for Sierra Animal Hospital. 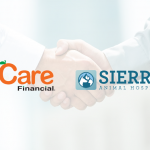 While an independent veterinary practice would typically be completely outperformed by these well-funded brand names, Sierra has held up to the competition, thanks in part to iCare. Sierra Animal Hospital has found that it is possible to stay ahead of multi-million dollar corporations by simply allowing people the opportunity to pay. “iCare Financial is a great partner for small businesses,” Trace added.